Dunking in style might have been Nikola Jokic’s New Year resolution. 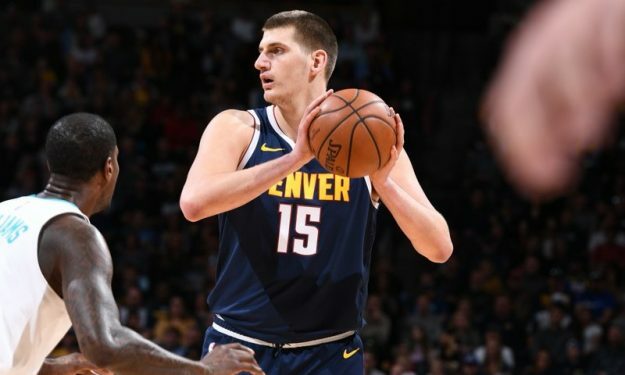 Nikola Jokic put up a 2018-19 personal-best 39 points on Saturday. With 16/29 from the field, he led the Denver Nuggets to the “W” against the Charlotte Hornets, their tenth consecutive home victory. He also grabbed 12 rebounds, six assists, three steals and one block in 34 minutes. The 23-year-old Serb forward/center impressive stats brought his season averages up to 18.2 points, 10 rebounds, 7.6 assists, 1.4 steals and 0.7 blocks. Besides, he had a memorable dunk for the second straight game.